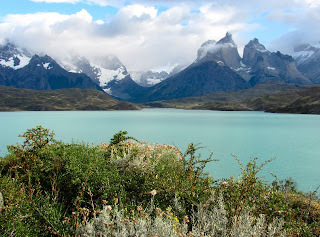 Mountain Hiking Holidays Blog: Adios, Patagonia! 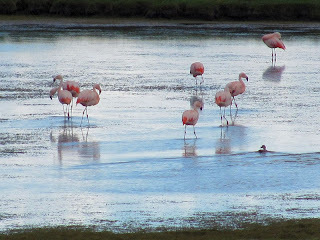 We are leaving Torres del Paine National Park, Chile, on our way back to El Calafate, Argentina this morning. Here's a parting shot of the Cuernos del Paine (right) as seen over Lago Pehoe from the Hosteria Pehoe. 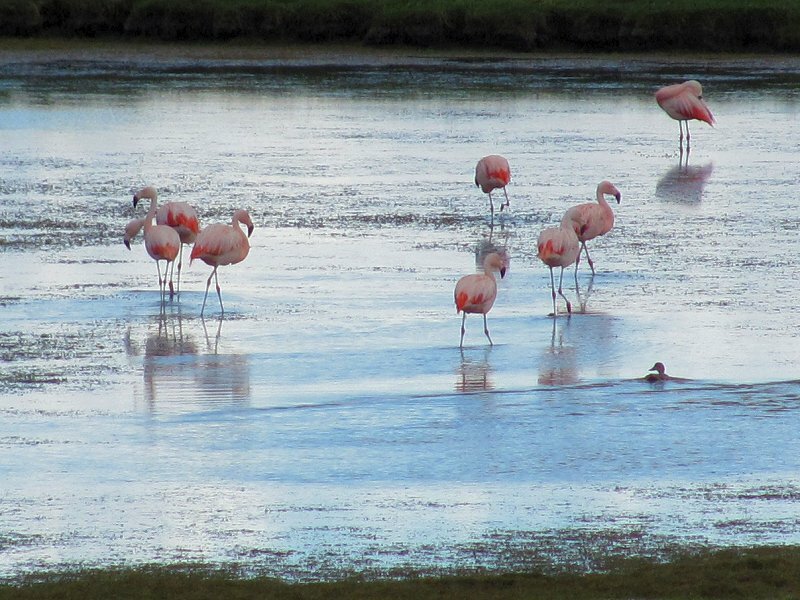 We crossed the border from Chile into Argentina (via the Paso Don Guillermo) in good time and shortly thereafter pulled over for some photos of flamingos wading in a shallow pool on the Patagonian steppe.